Show your support for former USCCB consultant Fr. Thomas Weinandy. SIGN THE PLEDGE! November 2, 2017 (Lepanto Institute) — With unprecedented swiftness, the United States Bishops Conference asked for the resignation of a consulting priest on same day his letter to Pope Francis was published. Capuchin Father Thomas Weinandy, who served as the USCCB’s Executive Director of the Secretariat for Doctrine and Pastoral Practices from 2005 to 2013, sent a letter to Pope Francis this past July, telling His Holiness that his “guidance at times seems intentionally ambiguous” and that he seems “to censor and even mock those who interpret Chapter 8 of Amoris Laetitia in accord with Church tradition as Pharisaic stone-throwers who embody a merciless rigorism." While strongly worded, the letter was written with the utmost charity and respect for the Holy Office. The USCCB, on the other hand, did not see it that way, and within hours of the letter’s publication, Fr. Weinandy was asked to resign from his position as a doctrinal consultant. Weinandy said his decision to write the letter was not easy, and resulted from what he regards as a moment of inspiration. Clearly, this priest’s decision to write such a strong letter to the Holy Father was done with deep prayer and careful consideration. Contrast this, however, with an individual who is still employed by the bishops of the United States despite the fact that she openly proclaimed her allegiance with Planned Parenthood on social media. Last August, the Lepanto Institute reported that Jessica Garrels, program quality coordinator for Catholic Relief Services, had strongly supported and promoted Planned Parenthood on her Facebook page. 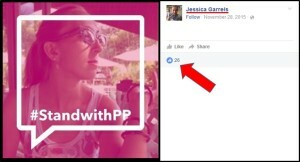 In that report, we showed that on November 28, 2015, Garrels posted a “#StandwithPP” overlay over one of her pictures, indicating that she supports Planned Parenthood and endorses continued government funding of the big-box retail chain of abortion stores. 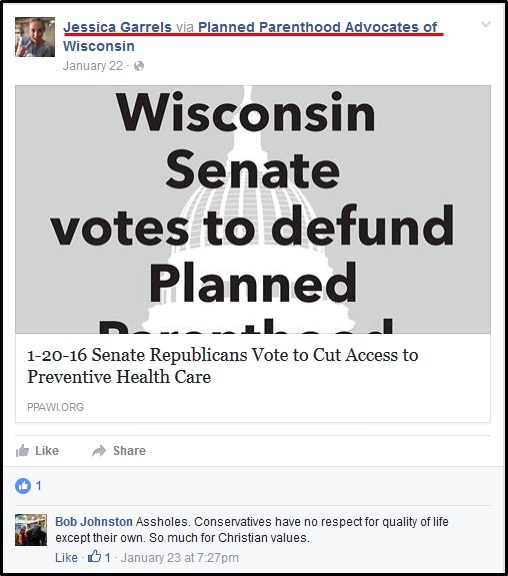 On January 22, 2016, Garrels posted an article by Planned Parenthood Advocates of Wisconsin, which complained that the Wisconsin Senate voted to cut funding to the abortion-giant. 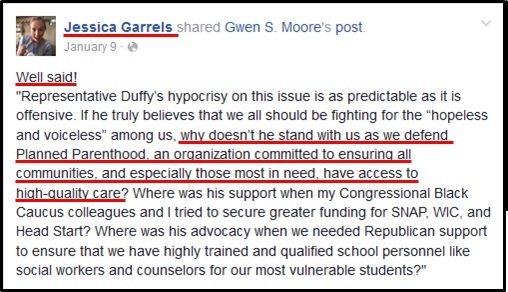 On January 9, Garrels wrote “Well said!” cheering on the statement of U.S. Rep. Gwen S. Moore in her defense of maintaining funding to Planned Parenthood. In April 2017 — nine months after we reported her support for Planned Parenthood — Garrels was identified as CRS’s point of contact for a job posting in Laos. By the time a full year had gone by since the initial report on Garrels’ support for the abortion industry, she gave an interview on behalf of Catholic Relief Services to the Huffington Post. The message here is quite clear … if you work for the bishops of the United States and publicly support Planned Parenthood, you can retain your job as long as you can hide the evidence. But if you’re a faithful priest and you write a respectful letter to Pope Francis, addressing grave concerns regarding his words and actions and it gets published, you have no place in the Bishops’ Conference.